I have been helping a number of clients to write award entries recently and noticed one area where everyone seems to have a block. Passion and excitement over-rides results. It’s not that they don’t mention achievements at all, but they don’t link closely enough to what the client was trying to achieve. Do the results match what the brief asked? Do the results look good against this? And if the results don’t match the objectives or feel worth all the effort – we move on. It may seem brutal, but often I don’t even read ‘what we did’ and certainly don’t look at the supporting material. So if you want to win an award, you need to spend the most time on demonstrating your results, rather than hours on making your press cuttings look pretty. I wrote a blog on judging the CorpComms awards, 10 inside secrets to winning an award – from the judges), to give a feel for how it works to be a judge. While every award has its own process, the principles are the same – what was this campaign meant to achieve and how well did you do against that goal? If you want to follow up in more detail, I am delivering courses for the PRCA on How to Write a Killer Award Entry – a half day on Tuesday 24 October in Dubai and a second one later this year in London, in November. Of course, for any award you have to have done something that stands out, is new and innovative and achieved great results. That is a given. But too often people who are writing the award entries get carried away with passion and excitement about a highlight eg a celebrity came to our event – and forget to write it as an AWARD ENTRY. So what should your award entry look like? 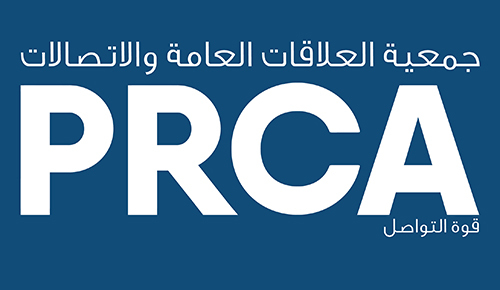 The PRCA MENA guidelines say they are looking for ‘campaigns that can demonstrate strategy, research, execution, creativity, originality, and documented results and evaluation’. An entry needs to tell the whole story and demonstrate impact. You would not believe how many people enter exactly the same award entry into two or three different categories eg best web design and best consumer campaign. It feels lazy and to be honest, most judges feel if you can’t be bothered to ‘answer the question’, then why should they be bothered to judge it? Judges do these things on a voluntary basis. You would not expect to see the same objectives for the website as a total campaign? With a website you would probably want to see the focus of goals and evaluation on site visitors and conversion rates. With the consumer campaign you would expect to see all aspects of a campaign, from research through to the impact on the business and including media coverage, events, relationships built – and then how you helped sales or other key business indicators. I know many clients still see media coverage as the ultimate aim of a PR campaign. But if they get loads of great coverage and no-one buys their products – is that a success? The more you can relate your campaign to clear business objectives, the more the judges will love you! I liked the way DMCC (Dubai Multi Commodities Centre) had a very clear objective to generate leads – this campaign was last year’s winner in PRCA MENA’s best integrated campaign. They had all sorts of activities and results but the final point in their evaluation is ‘Most critically, 798 qualified business leads were generated via report downloads’. When you start explaining what you actually did, you want to relate these back to the problem you are solving. Let’s imagine we are writing the entry on a campaign to recruit top IT graduates. What I have seen too often is that the strategy might talk about targeting IT graduates from India. And then the entry lists lots of media coverage in local media. It may be that there are a lot of people living locally who have relatives in India and there is evidence that they will share with family back home. But you need to explain why this coverage was relevant. For every activity, make sure it is clear how this links back to the strategy and how it achieves results. Supporting evidence needs to be clearly laid out and linked back to the goals and evaluation. Brazen PR won the PR and content marketing award last year in the PRCA MENA awards for their campaign with Wendy burgers in the Gulf region. This is a good example of laying out your evidence distinctively and making it easy for the judges. As I said, results are probably the most important part of your entry. Make sure they link back to the objectives and check – do these feel good?! Some clients are reluctant to reveal sensitive trade information – such as sales and visitor numbers. In these cases, try and show the business impact by using percentage growth figures. You could even get your client to say ‘This campaign helped us reach our sales targets for launch’. If you want help with how you turn your great campaigns into killer winners, do come to one of our PRCA training sessions. You can send me your draft entries in advance and I will include as many as possible in the training session.